Review How much pr0n can a fellow accumulate during a lifetime? 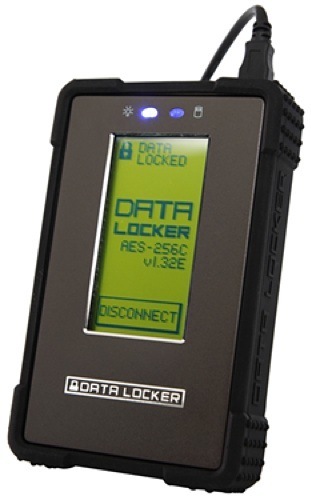 Data Locker's Data Locker hard drive provides a whole terabyte of encrypted, password-protected storage for the files you want to keep from prying eyes. Said display provides a password-entry keypad and options screens rendered in the blocky text and graphics of an earlier computing epoch. The 1990s just called and they want their user interface back, please. The drive's one nod toward modernity is the protective, knobbly cornered rubber band that slips around its sides. If the drive doesn't do anything when it's connected up, it's probably because you've neglected to flip the wee on/off switch - not a feature I expect to see on a modern external hard drive. Switch switched, and the bus-powered drive starts up, its display presenting you with a numeric pad on which to tap in the password.